When you are fuelling for a Ultra marathon be it 50 or 100 miles the basic principles can be the same. We take a look the well known Lakeland 100 Ultra Race as an example guide to fuelling for long distance running. 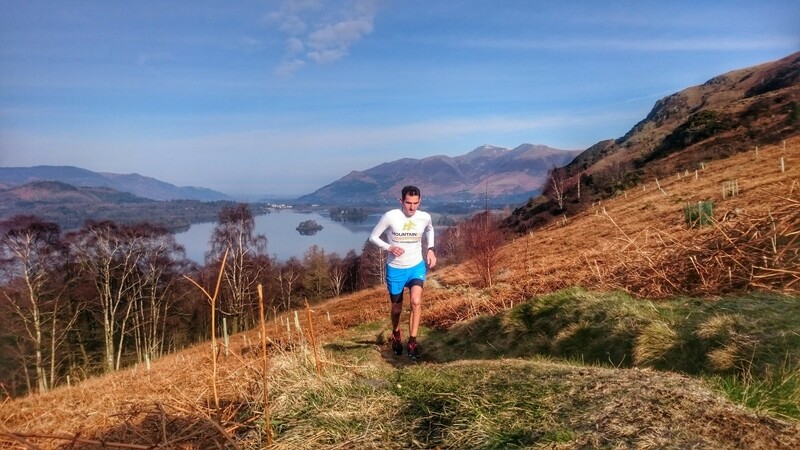 The Lakeland 100 ‘Ultra Tour of the Lake District’ is possibly the most spectacular, and picturesque 100-mile trail-running race in the UK. The circular route encompasses the whole of the Lakeland fells, and includes a gruelling 6300m of ascent. The route starts in Coniston and heads South before completing a clockwise loop which takes in the Dunnerdale fells, Eskdale, Wasdale and Buttermere before arriving in Keswick. From here the route heads to Matterdale and continues over to Haweswater before returning via Kentmere, Ambleside and Elterwater to the finish at Coniston. The event is continuous in nature; therefore, competitors have the choice whether to stop and rest for a while, or even sleep on the route, however, with a 40-hour time-limit, time is not on their side. With 14 manned checkpoints along the route, there are plenty of chances to refuel and rehydrate to aid in your completion of such an extreme event. However, such a demanding event does require a certain experience in ultra-distance running events, including confident navigational skills, and an essential training plan. Yet, contrary to popular beliefs, it is not typically poor map reading skills, or technical terrain per se, which ends many of the competitor’s race, neither is it the weather, or even the negative over-riding psychological episodes during the night which cause an alleged 50-60% DNF rate from the race! 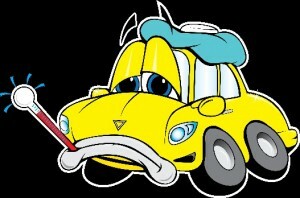 It is more often than not, poor refuelling and rehydrating which leads to a potential race-ending issue! If we consider, for just a moment, the crème de la crème of ultra-endurance athletes, those individuals who really are at the top of their game; the Brownlee brothers (World champion triathletes), Chris Froome (3 x winner of Le Tour de France), François D’Haene (2 x winner of UTMB), Rory Bosio also (2 x winner of UTMB), Lahcen Ahansal (10 x winner of MDS), to name just a few. The training regimes of these athletes are not for the mere mortal, and neither are those of their competing counterparts who take part in some of the world’s most extreme and demanding events…so what is it that seals the win for such notoriously hard-working athletes when they all seem to train to a similar standard? Nutrition & hydration is the key! Finding a refuelling & rehydrating strategy which works for them may be the difference between performing and failing, between fighting and fatiguing, between winning and losing! However, most of us are not super human, and are most definitely not part of the crème de la crème club of endurance athletes, yet nevertheless, even if you think you train like a champion, and believe physically, that you are ready to take on an event such as the Lakeland 100 endurance run, training is secondary to nutrition, as nutrition is the key to success. I promise you this, get your refuelling and rehydration strategy wrong…It’s typically game over for the elite, let alone for us mere mortals! 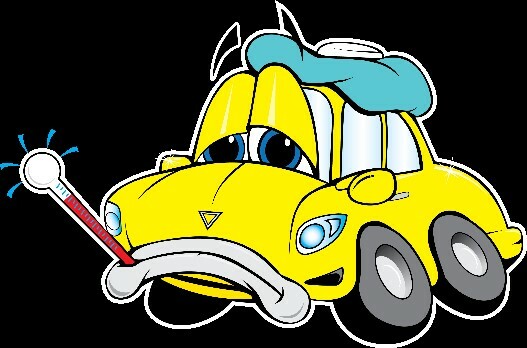 Hands up if you drive around in your car just to empty its petrol tank so that you can just fill it back up again! Nobody? Everybody puts petrol in their car so that they may drive around in it, Right! |Then let us start treating our body’s as we do our cars, fuel them for performance, don’t utilize them just so you can refuel them! Here at Mountain Fuel® we do not suggest that we are the ‘be all, and end all’ of your nutrition problems, neither do we promise to make you fly. However, our products are designed to be used alongside a ‘food first’ approach to training, and as part of a confident, well-organised refuelling and rehydrating strategy throughout the course of such extreme events as the Lakeland 100-mile endurance run. Due to the nature of our products they can also be used in conjunction with other energy bars /snack and if needed gels, although we encourage our users to negate or limit the intake of gels as a fuel. 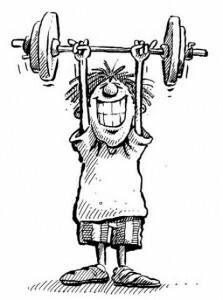 Attempting to write a nutrition article specific to one event, and individual to each competitor is near impossible, in fact I’ll go as far as saying it is definitely impossible!! (Mountain Fuel® are currently working on creating individual periodized nutrition plans and athlete support documents for customers, so please keep a look out for new developments!). Consequently, the following advice is just that, a guideline on how to fuel yourself through such an event as the Lakeland 100 endurance race. 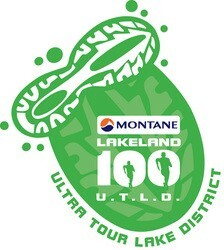 Building up to such an event as the Lakeland 100 endurance race it is vital for competitors to stay fit and healthy. Making it through a heavy training regime, and especially through a taper period is key to making it on to the start line. Prolonged periods of training can put huge stresses on the body, and also weaken the immune system causing physical barriers to infection to become more porous (4), hence the importance of eating a well-balanced diet in the weeks and months before your event. We don’t encourage training muscles in deficit during this period as we need them to be as nourished as possible, so ensure you take extra care to fuel correctly and take on board your chosen recovery. The rigmarole of several days of carbohydrate-loading seems to be a thing of the past among current athletes now due to the typical daily replenishments of glycogen stores through a higher carbohydrate diet (5), and consequently, muscle and liver glycogen stores are potentially able to be fully replenished within a 24-hour period before an event (6). With this in mind, and also the 6pm start time of the Lakeland 100 race, competitors should aim to consume a high-carbohydrate meal (200-300g/CHO) at least 24-hours before the start of the event to help replenish glycogen stores. It would also be recommended to consume a medium-carbohydrate:protein snack such as Mountain Fuel® Night Fuel 30-40-mins before bedtime to aid in the body’s replenishment of essential nutrients including carbohydrates and proteins. Due to numerous reasons, sleep is generally deprived the night before an event and competitors are typically awake and up preparing food, travel, and last-minute kit checks…and potentially unable to ingest a decent breakfast. This is considerably common on the morning of a race, so relax and just consume a snack of maybe some fresh fruit, or sip a bottle of Mountain Fuel® Xtreme Energy Fuel, until later on in the morning when you are ready and able to consume a more substantial breakfast containing complex carbohydrates and proteins. For example, Mountain Fuel® Morning Fuel with a blend of oats, mixed seeds and coconut oil is a great start to Lakeland 100 race day (see Table 1). Due to the late start of the Lakeland 100 race, it is recommended to consume a medium-GI carbohydrate meal around 3-4-hours before the event is due to start to optimize glycogen stores. If you are able to consume an early breakfast (6-7am), and then eat lunch around midday, this would enable the consumption of a Mountain Fuel® Morning Fuel as an alternative light meal of porridge around 3-4 hours before the start of the event, if you feel a larger meal (see Table 1) would be too much for you. Throughout the morning it is advisable to stay well hydrated too, via the consumption of plain water. During the final hour building up to the race start it is recommended to begin slowly consuming Mountain Fuel® Xtreme Energy Fuel to ingest those final vital calories of carbohydrate ready for the event ahead. So, after weeks and months of training hard, sleeping well, and eating a nutritious, well-balanced diet to help stay fit & healthy, race day has finally arrived…6pm is closing in…and your nutrition & hydration plans are in placed…or are they? It is well documented throughout the scientific literature that endurance athletes can, and potentially should aim for consuming ~60g/CHO/hr as this is the optimal amount which can be oxidized by the body (7), however, a 2006 study found that there was a positive link to mixing the types of multiple transportable carbohydrates, such as fructose, glucose, and maltodextrins and an increased oxidation rate (up to ~90g/CHO/hr) which may lead to a delay in fatigue during exercise performance (8), yet this does involve some training of the gut to be able to take on board such high amounts of carbohydrates during physically activity, so please do not attempt this on your race day. Even with training GI-stress can still occur, especially when taking part in such prolonged events as an ultra-endurance event.!! The mixture of multiple transportable carbohydrates has also been shown to be easier on the gut and decreasing the risk of any gastrointestinal issues. Aiming for 60g/CHO/hr maybe too much for many people, and possibly too little for others, and this is where the flexibility of Mountain Fuel® products step in. Carrying two hydration bottles is key for a good hydration strategy and we suggest you have one filled with plain water, and the other with Mountain Fuel® Xtreme Energy Fuel so that each individual can control their own consumption, of both water and carbohydrates. This part of a strategy plan should be carried out throughout the race via topping up bottles at each aid station and sipping both bottle contents between each. This liquid fuel should also be interspersed with real solid food snacks (energy bars, flapjacks, energy rice balls etc), for as long as your stomach can process the solid contents. If you reach a stage in the event where you are unable to continue eating solid foods then attempt to increase the amount of liquid fuel which you are consuming, and, if the worst comes to the worst, and you can no longer stomach anything, it is vital that you continue to keep sipping plain water until you are able to begin metabolising and utilizing fuels again. Many of our athletes have successfully used Mountain Fuel ® Ultimate Recovery and/or Morning Fuel during endurance events. These products are very lightweight, easily carried, and/or utilised from in-race drop-bags. Then mixed with water or soya milk they make a great alternative fuel source to compliment energy intake. There will be times in events such as ultra-marathons where you become confused, and are unaware that you are not eating and/or drinking the correct amounts…this is where having good experienced and reliable check point staff and crew members are essential to finishing success, and we will be producing an article on the importance of staff & crew teams so please keep an eye out for that one. You may be also aware of ‘flavour fatigue’ too. This is where you become so accustomed to eating the same types and/or flavours of foods for hours and hours that your body just won’t tolerate them anymore. This may then lead to a decrease in calories going in, and ultimately energy coming out, and again points to having a solid plan including various types, textures and flavours of foods available to you. This topic is beyond the scope of this article but will be discussed in a future episode so again, please watch out for that one. A solid, well-organised recovery plan, is an integral part of decreased recover time & increased recovery ability, especially after such a demanding and exhaustive event as the Lakeland 100. It is suggested that carbohydrate intake is increased to help glucose stores be restored (see Pre-race recommendations). 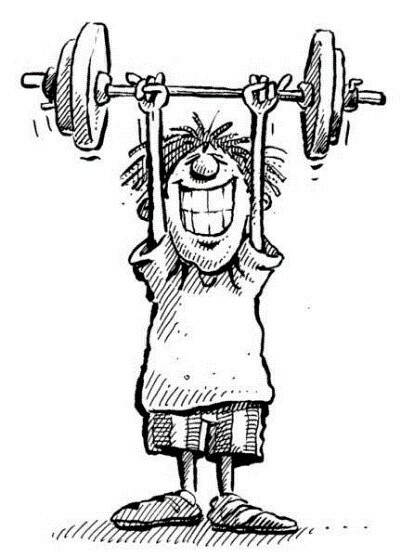 Protein consumption should also be increased to ~1.5-2g/kg.bw/day to aid in whole body recovery and muscle rebuilding. Pay attention to amino acid intake especially Leucine, as this is a key amino acid for muscle protein turnover regulation (see ‘Understanding Protein’ for lists of amino acids). All of the recommended nutrient intake increases should be done through a food first approach and yet through the addition of supplements when and where needed. 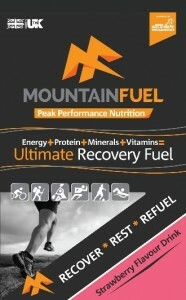 Here at Mountain Fuel® we really do like to boast about how wonderful our Mountain Fuel® Ultimate Recovery Fuel drinks are, with over 11g of blended whey and soy protein, all 11 essential amino acids, and flavours which are second to none, we recommend consuming one of our recovery drinks after such an event too allow the recovery process to begin. This can also be continued on a daily basis to continue the recovery basis and to increase the time of recovery through muscle protein turnover. Remember!, nutrition is very personal to the individual so do not take a generic strategy and think that it will work for you. Try and stay off of your feet for as long as possible in the 24-hour build-up phase to the event. Hydrating is more important than refuelling with regards to positive forward motion ie: if you can no longer eat then continue to drink. You will slow down; however, you may still be able to finish. If you stop drinking too it is generally game over! Do not rely on check points for your nutrition, yes use them, but always have a backup plan in case you get lost, or cannot eat the foods which they provide. Have your snacks at hand so that there is no need to rummage through backpacks for your fuel, and keep snacks lightweight if possible. Remember, for the Lakeland 100 you have to carry everything from the start (apart from your one drop bag) so don’t go packing half a pound of boiled potatoes for your lunch! Keep refuelling and rehydrating to little & often, rather than large amounts less often. Try and keep energy gels if you really need them for the latter stages of the event so as not to increase GI distress. Make mental notes of urine colour and frequency to keep hydration optimized. Finally, remember that so many other potential factors (weather, temperature, sickness, dropping & losing snacks, flavour fatigue, dehydration, exhaustion, missing check points etc.) may alter your primary nutrition & hydration strategy so have more than one, in fact have various plans, foods, snacks, drinks, and ‘what if this happens’ backup plans.